I am doing something a bit different today because several months ago I was introduced to Norwex cleaning cloths. While I am pretty ecstatic about them, I found that research was very hard to come by so I am giving my 100% unbiased Norwex review of the cleaning cloths. While I always share my honest opinions, even in sponsored posts, and I have even turned down products I don’t love, I have chosen to write this post as an unaffiliated post. I am not affiliated at all with Norwex, e-cloths, or any other company. 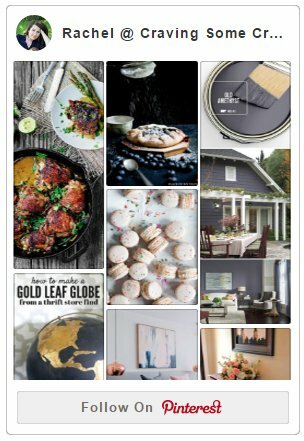 I want everyone to be able to read this post and decide if the products would be best for them, because the answer may not be the same for everyone! My first experience with Norwex was several months ago, and I have NEVER purchased anything from a home party before like Lularoe, Scentsy, or Pampered Chef. I actually told my husband before leaving for the party, “Don’t worry honey, there’s no way I will ever purchase anything.” And I was wrong… Since then, I have actually hosted my own party and continued to build my collection of Norwex products. Today, I want to share with you my opinions on Norwex as a whole and their two flagship products: The Envirocloth and the Window Cloth. For now, I am focusing on these two products but I will update with my opinions as I gather more experience with them. Also, I don’t use essential oils for cleaning although I do occasionally use my favorite blends in this long lasting diffuser to combat the dog smell. In my opinion, essential oils are still chemicals, even if natural ones. For all of you fans of vinegar and baking soda, more power to you. I am highly sensitive to the smell of vinegar and I won’t even have it in my house even to cook with. I can’t stand the stuff, despite the many glowing things I have heard from others. No way, Jose. So that’s me in a nutshell to give you a context for this review. Have you heard of Norwex? Norwex is an MLM style company similar to Lularoe or Young Living Essential Oils. Their particular line of products focuses on cleaning the home although they also have some beauty and food preparation lines as well. Norwex’s mission is to empower families to reduce or eliminate harmful chemicals throughout our homes by using their special microfiber cloths as well as other chemical free cleaning products. Here is their extensive 2018 catalog. In order to purchase Norwex products, you need to either attend a Norwex home party or know a Norwex consultant. As I said before, I am not affiliated with Norwex in any way, but I do have a local consultant so if you are interested, I will leave her contact info at the bottom of this post. 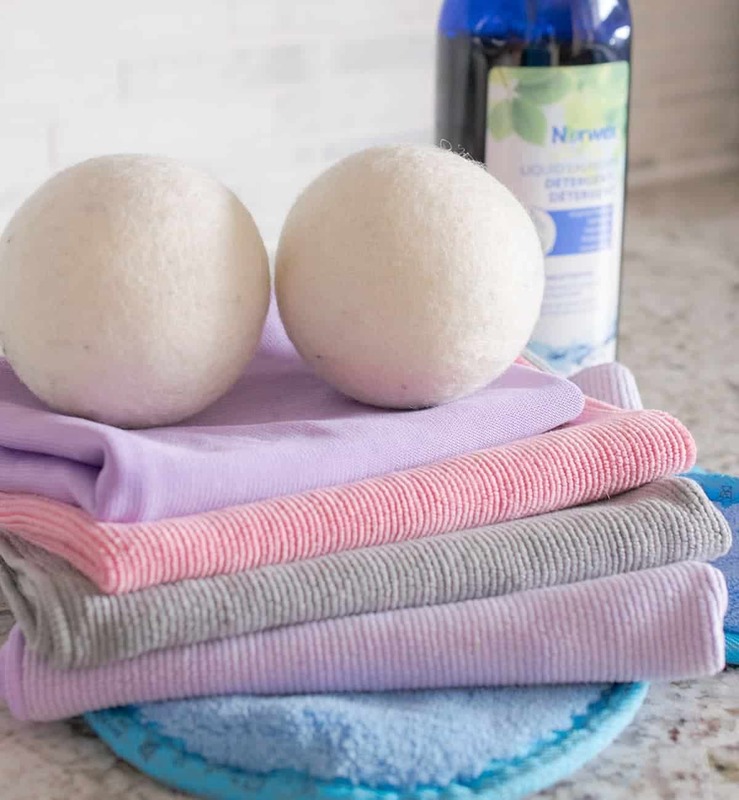 Norwex cleaning products focus on a special type of microfiber that is very different from microfiber cloths that you purchase at the grocery store. The difference is night and day! Take a peek at the video below to learn more about Norwex. (This video is directly from Norwex). This is the claim that whipped my head around when I heard it. Before Norwex, we often used kitchen towels or cloths for spills, wiping up the counter, cleaning the floors, etc. Then we would toss them in the basket in our laundry closet until wash day. That means that often those old cloths would sit around for up to seven days, and I couldn’t stand even opening that closet door because of the rancid smell! After using Norwex, I don’t have to deal with that stinky, funky smell anymore. For our kitchen, I use one cloth for a day or two, let it hang dry, and then toss it in the hamper just like I always have. The key here is that you do still need to let it dry. My husband has the habit of hanging the cloths over the kitchen sink divider and they didn’t dry well, so one did start to have a smell after many days of not drying (though this is still several days after our non-Norwex cloths would have started smelling foul). The big claim here is that the Envirocloth physically removes 99% of bacteria from a surface. This claim came directly from Norwex media pamplets, although I see many other consultants and purchasers making claims far beyond this such as the bacteria will rinse out of the cloth or naturally disinfect itself as it dries. Many Norwex cloths contain BacLock, which is basically tiny threads of silver woven into their cloths. While certain silver types are safe and naturally anti-bacterial, I couldn’t get a straight answer on what kind of silver is used in Norwex cloths. This one, I am a bit skeptical about because I can’t find truly independent research on the subject. While I absolutely believe that these cloths do create a safer home and inhibit bacteria growth, I can’t personally put a 100% truth stamp on it. As I said before, I personally don’t use antibacterial cleaners to clean my home, so it wasn’t this specific claim that interested me to begin with. Once I started using Norwex cleaning cloths, I haven’t found it necessary to use any other scrubbing cloth or most of the chemicals I was using. The cleaning cloths have replaced Windex, most paper towels, Pledge, Magic Erasers, and Simple Green. 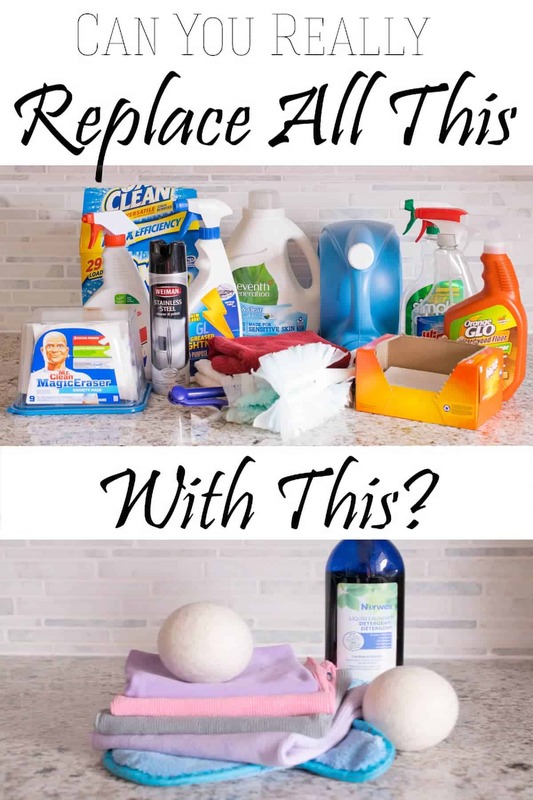 I don’t use bathroom cleaners or anti-bacterial cleaners, or I probably would have replaced those too! This microfiber is not like the microfiber you buy in Walmart or the Dollar Store. When I wipe the kitchen counter down, I don’t have to cup my hand at the edge for crumbs. The dirt sticks to the cloth! If you haven’t seen the butter test, I highly recommend you watch this video. There is no comparison between these cloths and other cloths that I have used. The Envirocloth is Norwex’s flagship product and is considered the “everything cleaning cloth”. While there is a kitchen scrubbing cloth, these are more of your everyday messes cloth. I use them to clean the bathroom, the kitchen, walls, and pretty much every surface in my home except wood. They can be used wet or dry, although I generally use them wet and they are nothing short of amazing. Dirt sticks to them like no cloth I have ever used and it does rinse away out of the cloths easily. I have six envirocloths, and I fully expect them to last many years. As a side note, I have personally tested Norwex vs E-cloths and there is no comparison. The dirt does not stick to E-cloths the way that it does to Norwex. I also don’t like the way that E-cloths feel in comparison as they are thinner and I don’t even think they are microfiber at all. I have cut my window cleaning time by at least half if not more. Hot car windows are streak-free! Glass shower doors, mirrors, metal, and stainless steel are cleaned with ease! Keeps down hard water buildup on surfaces. Now, with all of that said, I still prefer my Weiman Stainless Steel Polish on my refrigerator. The window cloth performs perfectly on my neighbor’s refrigerator, so I don’t know if this has something to do with my particular fridge. As I said, this is a honest review and there are things about Norwex that I wish they would improve upon. First of all, I am not a fan of MLM businesses, at all. As I said, I did in fact host a Norwex home party, mostly because I had three friends who were already wanting to purchase items they tried in my home. I mean they really pulled my arm, lol. As a host, I received rewards from the purchases of my friends and, honestly, those rewards were extremely generous. In fact, for about $550 in sales and 5 purchasing friends, I received over $200 in products for free. $200! While I am extremely grateful for those, I hated the fact of earning so much off my friends, especially since I knew those free products are not really “free”. It is part of the reason Norwex products are so expensive, and there is the real crux. Secondly, MLM businesses have both good sides and bad. The good part is that you have direct contact with a consultant, meaning that you have someone to show you how to use the products properly, and can truly tell you all the wonderful benefits for any given item. The downside for me is that many MLMs have a transparency issue. For example, the training may be spotty and some consultants may use less than ethical sales tactics. I do however, trust my consultant completely and she tells it like it is. The second is that independent research of the anti-bacterial benefits of Norwex doesn’t seem to be readily available and I believe that independent research needs to be better to back up their claims. While Norwex is definitely not a scam, it is expensive, no question about that. However, I am personally more interested in value. Under current pricing models, a window cloth costs $19.99 (plus tax and s/h). While I absolutely agree that it’s outrageously expensive, I would buy it again in a heartbeat. I wish I would have gotten more the first time I ordered and not had to pay all that shipping. Also, you can split with a friend! The same goes for Norwex Envirocloths, but there are a few items I would not purchase again and I do plan on writing more reviews soon. Do You Need A Consultant to Buy Norwex? This was one of the most confusing parts about Norwex for me. At first, my friends and I were under the impression that you had to physically go to a party in order to make a Norwex order. This is not in-fact quite accurate. While you can find Norwex online at Amazon, the prices there are generally above what you would get through a consultant directly (and you can’t pair items to cut down on shipping cost.) However, consultants now have online stores and you don’t need a party in order to make a purchase. And, even better, you can ask a consultant if you can have an online party for your friends to earn rewards and commission. If you are in an area where you don’t have a consultant, you can order through this online shop. I wrote this review in response to the serious lack of helpful reviews about Norwex’s microfiber products. Almost all reviews/content come exclusively from Norwex consultants (i.e. people selling it.) or in many cases, nothing at all. There were also some pretty outrageous claims. I realize that having a blog comes with some perks like being able to help people fill in these blanks, and I am willing to be a guinea pig for the greater good! All in all, I highly recommend Norwex to anyone who wants to get rid of chemicals in their home, wants to save money over the long haul, or who just likes cleaning better, faster, smarter. In case I haven’t made it plain, I really do love the Norwex Enviro Cloths and Window Cloths. If you are interested in learning more about what all the fuss is about, check out Jennifer’s shop or the 2018 Norwex Catalog. You can contact her or comment below with any questions and we will be sure to answer them! The Norwex Mop System – Is it really worth the cost? Thanksfor the unbiased reviews! Where can I find your reviews on other norwex products? I am interested in the effectiveness of the laundry products. Have you tried those? And the mop! Oh thank you for your kind words! I have done a review on the mop system here and list of my Top 5 Norwex Products and what to skip here. To answer your question about the laundry detergent, I really do love it, but I actually feel that those with High efficiency washers love it more than I do. One problem is that with non-HE washers, they recommend at 1.5-2 scoops for an extra large load. I use 1 scoop because our clothes aren’t super dirty, except the kids. I hoard it a bit, lol. It’s not just the cost, I actually think it seems to work better in those HE washers- or maybe other detergents are worse because of the HE? Anyways, I will say that our whites are noticeably brighter and lasting longer. My 10 year old son’s clothes are also seemingly lasting longer and less stained- seriously, why must his sleeve be a napkin?! lol. The truth is, even with the cost and such, I keep buying the laundry detergent from Norwex because I do like it. I buy it in bulk (6-8 bags at a time) because at least I can save on shipping. Oh, and it’s worth mentioning that Norwex has absolutely no smell when the clothes come out of the dryer. None. I miss the smell and I have tried adding essential oils,but haven’t figured that out. However, other people love that no perfume thing. Hope that gives you some good information! I have found that if you put essential oils on the dryer balls and run them by themselves in the dryer for 10 minutes first, then with your clothes and such, they come out with a soft lovely smell! I was invited to a ‘Rag Party’ a couple years ago. I kinda thot it was funny that someone could actually have enough to say about a RAG that they’d make a party out of it. So I told my husband I just really wanted to go to see what could possibly be so awesome about a rag that this lady would invite 20some ladies to. I told him don’t worry I won’t buy anything. Till the party was over & the demonstrations were done , I texted my husband & asked if he’d care if I changed my mind & bought an Enviro cloth. He actually chuckled a little bit told me to go ahead. I came home with my ‘rag’ & I cleaned the kitchen counters, appliances, bathroom sink, shower, floor, windows (AFTER I cleaned the floor!) Then cleaned some more & everything got CLEAN-I was shocked!!! I’ve been a fan ever since & am very grateful to have learned about Norwex. That’s all I’ve used to clean with for the last 3 years now. I have no regrets! Yours is a great testimonial! I’ve never bought anything at home parties but I have no regrets either, but I love that they called it a Rag Party. It sounds so unassuming. The reason you are not happy with the Norwex products on your stainless steel refrigerator is probably because you have a buildup of the Weiman Stainless Steel product already on your refrigerator. This same thing happened to me. The best solution is to use either your envirocloth or kitchen cloth and a small amount of Norwex laundry detergent to clean your stainless steel first. You will be shocked at how easily this will remove the product buildup. Once you have removed the product buildup, you should be able to continue to clean your refrigerator with just the envirocloth or kitchen cloth followed by polishing with the window cloth. This worked for me and might work for you too! That is a great idea! In fact my MIL had that same problem with her windows. She couldn’t understand why the window cloth was leaving streaks, until I cleaned her windows a few times and realized she had so much vinegar and cleaner residue on them, that it couldn’t cut through all of that in one go. Thanks for your independent review. It truly is difficult sorting through the online blogs for an unbiased opinion. I absolutely love these cloths too but I wanted to know more about the company before I bought more products. I completely agree and I think that Norwex is a bit cagey about independent research on their claims. If you have any products you have in mind specifically, I can always give my personal opinion as well as all the other friends I know that use them. I do have a few more reviews coming soon such my top favorites and I just posted a full review of the Mop system as well.